The Zimbabwean proverb, "If you can walk you can dance, if you can talk you can sing", one of the Pearls from the day before was a good platform from which Lynne Lawrence spoke of the progress of the 6 Education goals from Dakar, 2000. Her thorough and insightful presentation concluded that although accelerated progress had been made, Education For All has not been achieved. André Roberfroid was at the Dakar Convention and spoke of the strengths of the meeting, including the excellent leadership provided by Jim Yong Kim of the World Bank, resulting in increased spending for education. UNESCO convened for the drafting of the Incheon Declaration this year and Victoria Barres represented AMI. After implementation, the Incheon Goals will be assessed under the Education Framework 2030. Dr Priyanut Dharmapiya, director of the Sufficiency School Centre, Foundation of Virtuous Youth presented "Cultivating Sufficiency Mindset in Thai Schools". 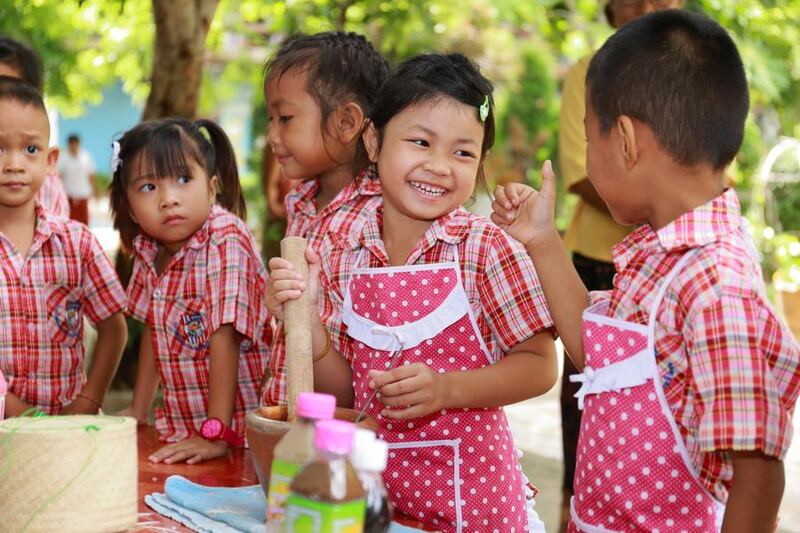 Starting with 137 schools in 2007, Thailand now has 10,000 Sufficiency Schools and is working towards 30,000. The Sufficiency Mindset and Behaviour model is based on His Majesty the King's Sufficiency and Economy Philosophy and features over 4000 Royal Initiatives. Considering that half of the thick forest that covered 75% of Thailand in 1960, has been destroyed, schools play an important role to reinforce living in balance with nature. The sufficiency mindset is based on the notion that social reinforcement, based on Buddhist teachings, is the most successful way to bring about change using moderation, mindfulness and knowledge.